You survived 12 Barz and it was legendary... Tasks, shots, amazing outfits & your t-shirt totally marked up to prove it all. It’s about that time, to gather a crew & join us to celebrate Easter the only way we knew how – with an epic pub crawl. The signature mix of crazy outfits, ridiculous behaviour, and insane energy makes this one of the most unforgettable nights of the year. Are you ready to show us what you've got? Come join us and our long eared, furry friend as we gear up for one wild night!
? The Bunny HOP ? 1. Exclusive access to the bars (on your team schedule) for the evening - no cover and direct entry at all locations on your team schedule. 3. 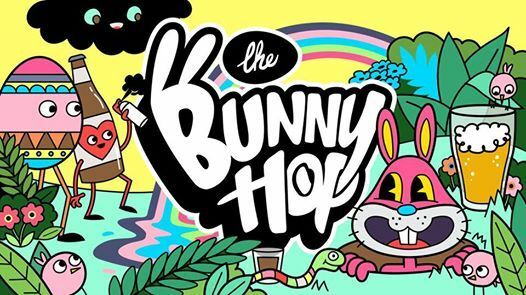 The 2019 Bunny Hop Sharpie, Shot Glass, & Stickers. 4. A Memorabilia Bunny Hop 2019 T-Shirt covered in sharpie messages from randoms and friends! 5. Chance to win some unreal gifts from a massive pool of prizes! 6. Access to EventPass - The NEW Bunny Hop Event App. Many teams sell out in minutes. Be ready for it!
? HOW BUNNY HOP WORKS ? STEP 1: Pick the team you want to party with. STEP 3: Go to T-Shirt Pickup & grab your gear. STEP 4: Customize your shirt, or even add a costume. STEP 5: Pre-game with your team and get ready to go. STEP 6: Meet at your first bar & begin the craziest night of the year!
? 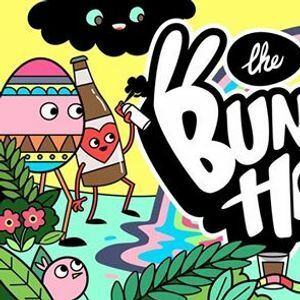 BUNNY HOP SOCIAL ? Questions? Need more info on the event?